Product prices and availability are accurate as of 2019-04-17 22:27:18 EDT and are subject to change. Any price and availability information displayed on http://www.amazon.com/ at the time of purchase will apply to the purchase of this product. What is System Rescue CD? 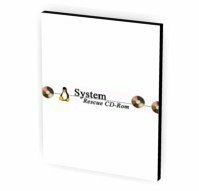 System Rescue Cd is a Linux system rescue disk available as a bootable CD-ROM for administrating or repairing your system and data after a crash. Please Note: This is NOT a Windows boot disc, and does not use any MS Windows technology or software to perform its tasks. IT WILL however, allow you to repair a broken MS Windows system, or at the very least, recover lost data from one. It aims to provide an easy way to carry out admin tasks on your computer, such as creating and editing the hard disk partitions. It comes with a lot of linux software such as system tools and basic tools. It can be used for both Linux and windows computers, and on desktops as well as servers. This rescue system requires no installation as it can be booted from a CD/DVD drive, but it can be installed on the hard disk if you wish. The kernel supports all important file systems (ext2/ext3/ext4, reiserfs, btrfs, xfs, jfs, vfat, ntfs), as well as network filesystems (samba and nfs). GParted: creates, resizes, moves, copies partitions, and filesystems. 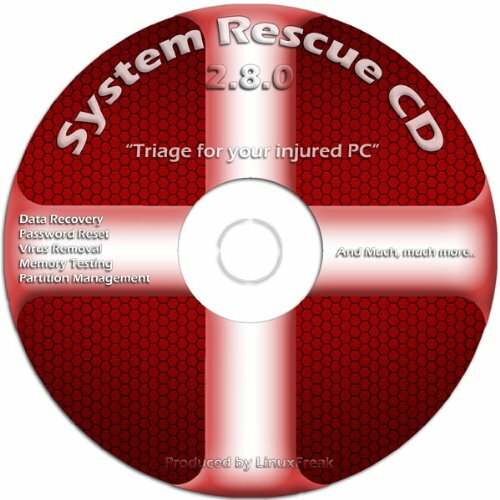 System Rescue CD is a bootable Linux CD loaded with tons of tools and applications to allow repair, recovery, and reconfiguration of a Windows PC With System Rescue CD, you can repartition hard drives, reset or change forgotten Windows passwords, recover lost data, etc.. Its ability to automatically connect to most kinds of networks make it quick and easy to recover data from a crashed Windows installation to a network server, etc.. Capable of accessing Windows shared file systems over the network (Samba) Detects nearly all modern file systems, including Windows NTFS, FAT, FAT32, ext2/ext3/ext4, reiserfs, btrfs, xfs, etc..